Suzuki Motor Corporation (SMC), Japan has reported smart 13.6 percent YoY growth in its consolidated net sales in the first quarter (April-June 2018) of the ongoing financial year, which it terms as Q1 FY2018. It is to be noted that for SMC, Japan, FY2018 denotes the April 2018-March 2019 period. The Japanese automaker's consolidated net sales have reportedly grown by 118.2 billion Yen (Rs 7,393 crore) to 987.5 billion Yen (Rs 61,765 crore) compared to the corresponding period of the previous fiscal year (April 2017-June 2017). The additional consolidated net sales of 118.2 billion Yen during the said period came from 29.4 billion Yen (Rs 1,840 crore) and 88.8 billion Yen (Rs 5,559 crore) from the Japanese and the overseas markets respectively. And, in its overseas business, as the company document claims, India has emerged as the largest contributor to Suzuki Motor Corporation’s (Japan) Q1 FY2018 performance. The company is targeting sales of about 100,000 Burgman Street models in FY2018. According to SMC, its overseas automobile net sales increased YoY mainly owing to the rise in sales in markets including India and Europe. SMC’s total Q1 FY2018 consolidated net sales saw a contribution of 900.6 billion Yen (Rs 56,453 crore), 64.3 billion Yen (Rs 4,030 crore) and 22.6 billion Yen (Rs 1,415 crore) from the passenger vehicle, two-wheeler and marine businesses respectively. SMC has reported growth of about 4.38 percent YoY in its two-wheeler (or motorcycle) division globally during Q1 FY2018. It credits this growth in its global motorcycle business to the sales contribution of scooters in India. While Suzuki Motor Corp’s stranglehold in India’s tough passenger vehicle market is widely known for making a substantial contribution to its global business, it is interesting to note India’s growing share in its global two-wheeler business. According to SMC Japan’s recent financial statement (Q1 FY2018), India’s share in the total net sales of its motorcycle division stands at about 20 percent. This was about 16.39 percent for the corresponding period a year ago (Q1 FY2017). Notably, this is larger than Europe as a whole for SMC. In terms of net sales, while India alone fetched 12.8 billion Yen to SMC’s motorcycle division, Europe contributed 12.1 billion Yen during Q1 FY2018. In sales volume terms (motorcycles and ATVs), SMC’s Q1 FY2018 statement suggests that the company sold close to 423,000 units, thereby marking YoY growth of 12 percent. Of that, while 19,000 units came from Japan, overseas sales contributed 404,000 units during this period. Satoshi Uchida: "India contributes to about 35 percent of Suzuki Motor Corporation's global two-wheeler business." Asia stands out as the largest contributor with sales of 340,000 units in Q1 FY2018 to SMC’s total overseas sales in the motorcycle and ATV business. India contributed an estimated 152,000 units (up an impressive 40 percent YoY) during the period, thereby marking itself as the most critical market for SMC globally. Among other global markets, Europe and North America registered YoY growth of 9.1 percent and 6.2 percent respectively for SMC’s motorcycle and ATV business in Q1 FY2018. Importantly, Suzuki’s two-wheeler business returned to profitability during FY2017, thanks to these growing markets primarily India. The backbone models here are referred to the commuter motorcycles (primarily the 150cc models), which Suzuki categorises by that name in the ASEAN markets. 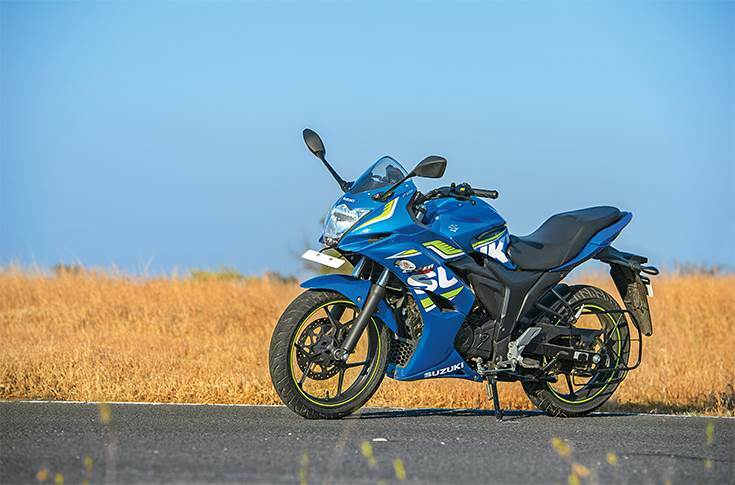 What's driving Suzuki’s global two-wheeler business is its 100 percent Indian subsidiary – Suzuki Motorcycle India Ltd (SMIPL). The company is finally working to get its act together in India by aligning operations across functions. Sajeev Rajasekharan: "India's two-wheeler market has far more potential to grow further. Therefore, Suzuki would stay put and stay invested in it." Suzuki Motorcycle India now has a clear future growth roadmap: it plans to finally capitalise on the undying demand for the Access 125 scooter – an area where it miserably failed in the past. The Access 125 scooter has been the single biggest growth driver for Suzuki Motorcycle India in both the domestic and export markets. The scooter sold close to 410,000 units in FY2017-18 and contributed to more than 80 percent of the company’s total domestic two-wheeler sales in India. 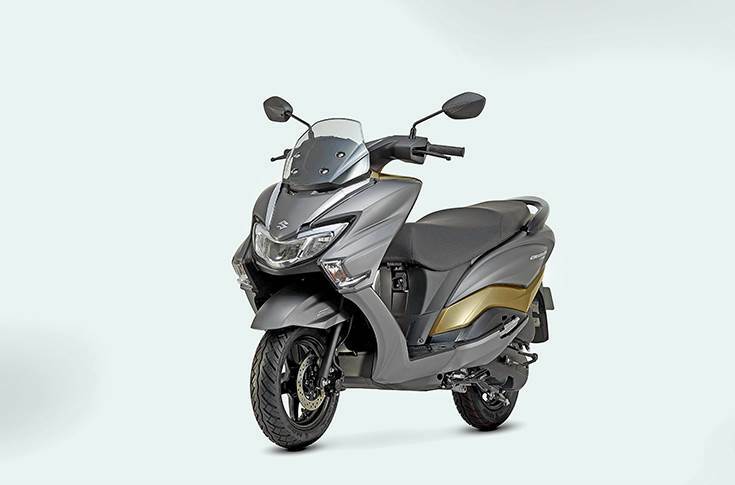 Suzuki is now targeting sales of 500,000 units of the Access 125 in FY2018-19 in India, and has also recently launched the Burgman Street to complement the Access 125 but at the premium end of the growing 125cc scooter market. The Suzuki Burgman Street, which borrows the proven 125cc engine from the Access 125, takes on its rivals, primarily the Vespa and the Aprilia scooters, at the premium end of the 125cc scooter market. The intent is clear – Suzuki aims to compete fiercely in this category. The company has set a target of selling about 100,000 units of the Burgman Street in FY2018. As per the management’s plan for FY2018-19, the two scooters (Access 125 and Burgman Street) are expected to contribute about 600,000 units in its overall target of 700,000 units for this fiscal. Furthermore, it is gunning for achieving one-million unit sales in FY2019-20. To gear up for future sales, SMIPL is expanding production capacity at its Gurgaon plant, which can currently produce around 750,000 units per annum. Continuous expansion will further augment capacity to about one million units which, according to the senior management, will suffice to meet market demand until 2020 – the year of BS VI implementation. To fuel further growth, the company has earmarked Rs 600 crore to set up its second manufacturing unit in North India. The planned facility will be built with the provision of producing up to a million two-wheelers in the future. This underlines that senior officials at Suzuki Motorcycle do have an aggressive long-term roadmap in their sight. On the product side, while the senior officials are working on a new mature roadmap for its Gixxer motorcycles, the top team is also lining up an electric scooter prototype for the India market within three years from now. Suzuki’s premium motorcycle portfolio for India deserves special mention too. After the company began locally assembling the iconic Hayabusa at its plant, the superbike’s demand in the domestic market shot up. For the four-month period (April-July 2018), the Suzuki Hayabusa is the top-selling premium motorcycle in the 1000cc-1600cc category. The company is now working to further expand its CKD portfolio with induction of more premium models in its local assembly. The top management at Suzuki Motorcycle India is devising ways to retain the existing Gixxer customer base — bigger 250cc Gixxers are in the offing. “Maruti Suzuki puts tremendous pressure on us to perform. The senior management in Japan has told us to catch up with the growing market, just like Suzuki has done in the passenger vehicle market in India,” he added on a lighter note while drawing comparisons with Suzuki’s presence in the domestic passenger car market. To meet its aggressive sales targets, the company is also expanding its dealership footprint across the country. According to Rajasekharan, as per the plan, it will expand its network to about 650-700 direct dealerships with over 1,400 touch-points by 2020 as against 511 dealerships currently. Given Suzuki's return to good times on two wheels in India, the company will be looking to maintain the momentum in a fast-growing market.